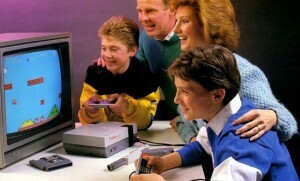 Yes, we’re the Nintendo generation, the ones who stepped into a whole new world of video games in our formative years. The sounds of Super Mario and its brethren games are engrained in our souls, thus it naturally comes out in our music. David Stanton has perfected the art of simulating the 8-bit sound of Nintendo games, in this adaptation of “The 12 Days of Christmas.” David quotes the following games: The Legend of Zelda, Super Mario Bros, Ninja Gaidan, Castlevania, Contra, Sonic the Hedgehog and more, with each movement a new experience. The electronically generated tones are often just simple math formulas that create each “instrument,” yet the sense memory of them instills instant excitement for the holidays. Receiving games and gaming systems as Christmas presents was really the only thing we asked Santa for. 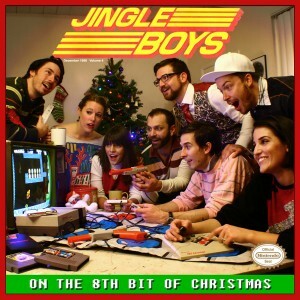 The 2011 album “On the 8th Bit of Christmas” has references to video game music throughout the album. Some are blatant, others are subtle, how many can you find? 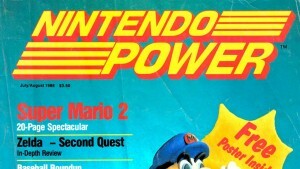 The album cover is in reference to the original Nintendo Power magazine covers, and the classic advertising depicting the family fun of gathering around the NES for all kinds of good natured fun.